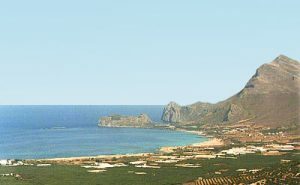 Crete property should be considered excellent value considering the charms of the island and comparing it with other popular locations. Beautiful Crete, the largest of the Greek islands, is one that welcomes foreign buyers. As many younger people have moved from Crete to the mainland in search for work and a more sophisticated way of life, Cretans are happy to see life breathed back into their old villages. It also helps push up property prices. Although Crete is still a very young market and excellent value compared with most of the rest of Europe, prices have steadily increased, and the days of picking up a property ready to live (anything priced around this mark will inevitably be a major renovation project). When it comes to rental income, the diversity of properties on the island is a benefit, as for everyone who wants to rent a villa with a pool there is someone who wants a restored traditional village house with a courtyard and a lemon tree. The property market in Crete is and is currently very buoyant and picking up speed. Interestingly, whereas the majority of buyers used to be older people and retirees, nowadays all age groups are buying and many younger Brits who work for themselves are taking the plunge and relocating. And why wouldn’t they? Crete has all the delights of a Greek island, but with an established infrastructure that’s far superior to the majority of other islands. It offers an average of 310 days of sunshine a year, lovely beaches, majestic mountains, impressive gorges, ancient sites and picturesque and literally untouched villages full of character and tradition. Add to that a cost of living considerably lower than Spain and an incredibly low crime rate, and it’s easy to see the appeal. Crete, claimed by many Greeks to be the most authentic of the islands, is by far the largest. It stretches 256km east to west and is between 11 and 56km wide. A massive mountainous backbone dominates, with peaks stretching skywards to over 2,400 metres. In the north the mountains slope more gently, producing fertile plains, while in the south they plunge precipitously into the sea. Meglonissos (“Great Island”) is what the Cretans call their home and “great” refers to far more than the size. Great can certainly be applied to the Minoan civilisation, the first in Europe and one with which Crete is inexorably entwined. Visitors by the thousand pour into the ruins of Knossos, Festos, Malia and Kato Zakros, before heading towards one of the scores of excellent beaches. With two major airports, Crete cannot be classified as undiscovered, but through its size and scale it manages to contain the crowds and to please visitors with widely divergent tastes. Heraklion is famed for the Minoan ruins of Knossos and has many historical attractions from the Venetian era. 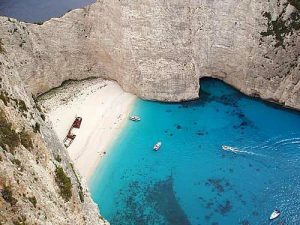 The best beaches near Heraklion are at Ammoudara, Karteros, Toumbrouk and Amnissos. Once the St Tropez of Crete, Aghios Nikolaos (or “Ag Nik” as it is affectionately named) is a picture postcard tourist paradise, overlooked by the eastern mountains, it is magnificently situated on the Gulf of Mirabello. Here, and at neighbouring Elounda, are some of the island’s best and most expensive hotels. Unfortunately, Aghios Nikolaos does lack a decent beach, although there are some passable sands a couple of miles to the east. Restaurants and hotels, discos and cafes cluster. There are Aghios Nikolaos’ Mandhraki harbour and the small, so-called, bottomless lake. Sitia is 70km from Aghios Nilolaos and is a somewhat laid back town which, to the delight of visitors and the chagrin of locals, has not yet hit the big time. Here are the almost obligatory Venetian fort, archaeological museum and a folklore museum. Rethymnon prides itself on being Crete’s intellectual capital and still possesses an intact old town with a small, picturesque Venetian harbour. Its major attraction is a quayside choc-a-bloc with colourful but expensive fish restaurants guarded by an elegant lighthouse, West of the harbour is the immense ruined Fortetsa, said to be the largest Ventian castle, and from where excellent views may be enjoyed. Chania is 59km from Rethymnon and is Crete’s second city and its capital until 1971. It is a larger version of Rethymnon and claims to be one of the oldest continuously inhabited cities in the world. Its jewel is the boat-free outer Venetian harbour. The quayside is wide and backed by characterful, colourful old buildings of the Venetian Quarter, whose reflections shimmer in the water. The ambience is of the Levant and this is the place for the “volta”, the evening stroll.